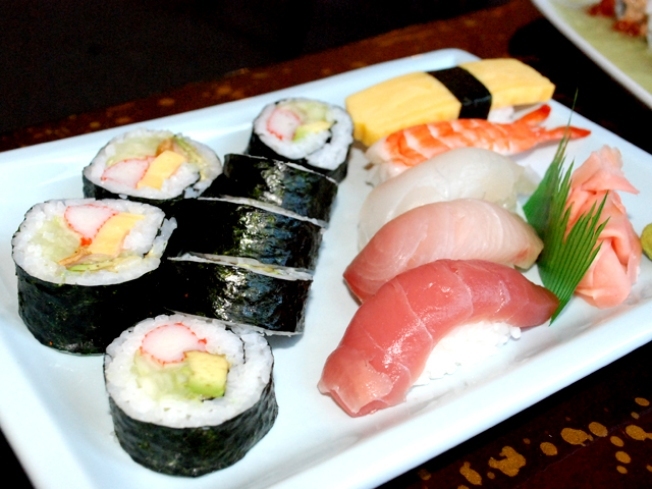 Enjoy some great sushi at Kumo tonight in Hamden. FUTBOL FEVER: As we mentioned yesterday, the final countdown is on for the 2010 World Cup in South Africa. And tonight, far away from Johannesburg, you can send off Team USA in style. They're playing the mighty Czech Republic tonight at Rentschler Field in East Hartford. The game against the Czech's will be one of the final tune-ups for Landon Donovan and the boys before they head off to South Africa to beat up on the world starting June 12th. So put on your red, white and blue, loosen up your chanting voice and cheer on the good ole U.S.of A. Tickets start at $25. The game kicks off (get it, kicks off) at 8 p.m.
COUNTRY SONGS: Head to Mohegan Sun tonight, to see what award-winning songwriting looks and sounds like. Cooper Boone (he's a country singer if you couldn't guess by the name) will take the stage at the Wolf Den. Boone has won awards for his songwriting, and as an artist. He's currently nominated for Best Country Artist and Country Album of the Year for the 2010 Los Angeles Music Awards. But he's no one-trick pony. He's also the host of Cooper's Kitchen, a new web series that's all about food and music. Tonight's free show starts at 7 p.m.
C'MON GET HAPPY: Most happy hours feature fried foods, wings, burgers, etc. But if you head over to Kumo in Hamden, you can experience a not-so-normal happy hour. The restaurant features top-notch sushi, to whet your appetite. Oh, yeah, and they have all the drink specials ($3 beers and $5 mixed cocktails) you'd expect from a great happy hour. Belly up to the bar from 4:30 p.m.-6:30 p.m.